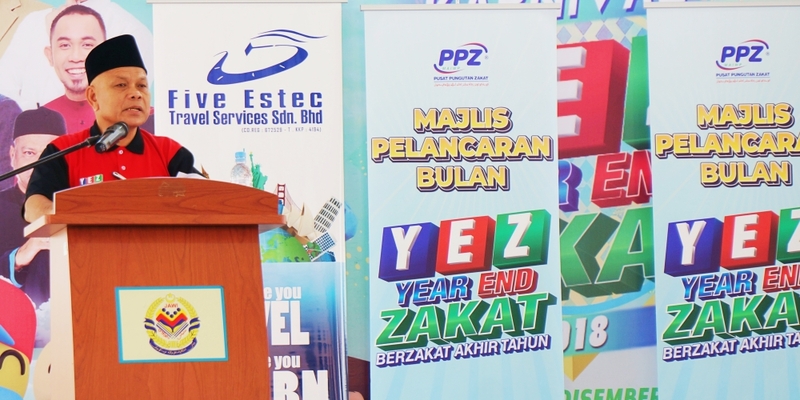 Having attended a session with Pusat Pungutan Zakat (PPZ) when they launched the newly improved zakat2u (this post), I was excited when I received an invitation to attend the YEZ Carnival. 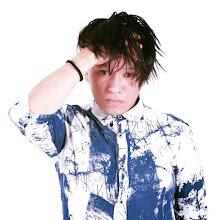 YEZ Carnival? Not YES Carnival as in Year End Sale Carnival? NOPE! 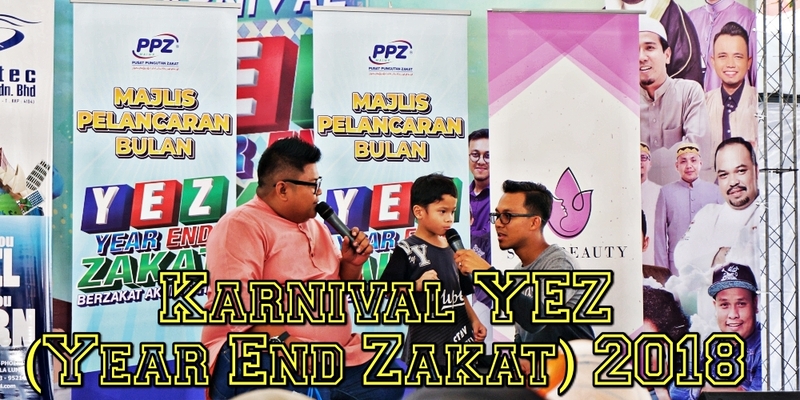 YEZ Carnival stands for Year End Zakat Carnival, an event to get close to the masses in order to ease the zakat process and to excite the public, young and old, about the zakat and its benefits in the Federal Territory of Kuala Lumpur, Putrajaya and Labuan. 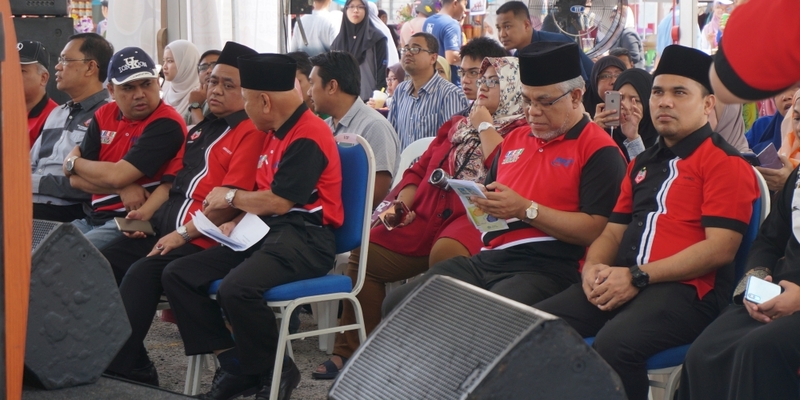 When Datuk Che Mat Che Ali, the Chairperson of PPZ-MAIWP mentioned that some people are still reluctant to give zakat for their ignorance and lack of understanding, it shows that there are still work to be done to educate the masses. He hopes that the bi-annual carnival will further educate the masses that zakat is wajib, not an elective. Prior to the carnival, there were contests carried out by the PPZ and Datuk Che Mat Che Ali presented the winners after his officiation speech. The winners for Jom Sertai Skim THOHIR 2018 receive gifts sponsored by Five Estec Travel Serves Sdn Bhd, which of course are trips to different locations for the winners and Umrah package for two for the grand winner, one that belonged to Mr Shah Rizal Abdul Moin. Whereas the winners for the Kempen Jom Berzakat (Ogos - Oktober) 2018 receive gifts in the form of mobile phones, sponsored by SeriGroup Global Sdn Bhd. The carnival spreads over two days period (1 - 2 December 2018) at the compound of Masjid Usamah bin Zaid, Wangsa Maju with a great line up of events from 10 am until 10 pm. 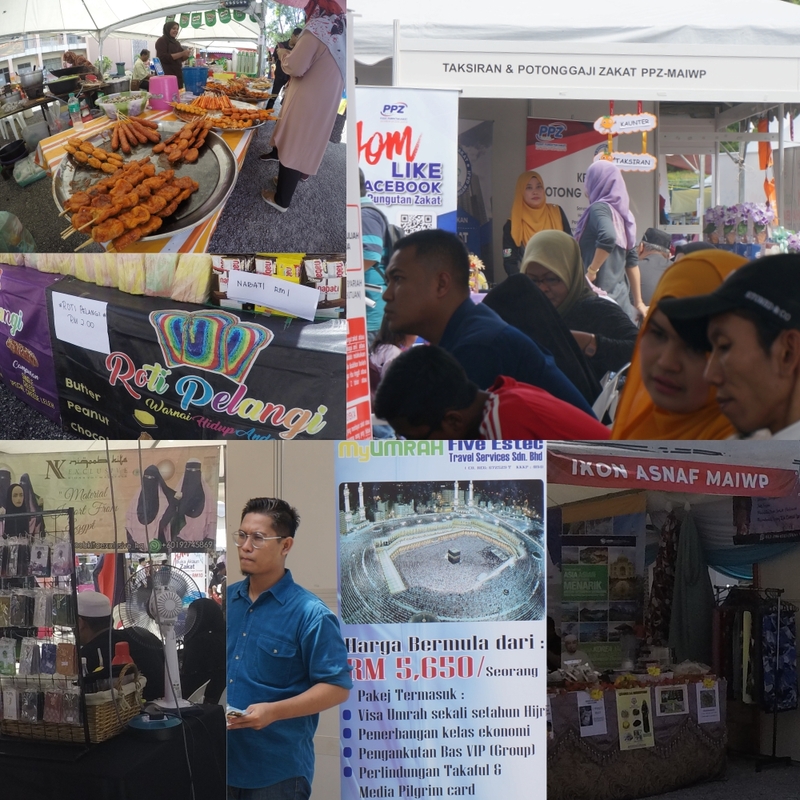 There are 90 stalls of different nature awaits the crowd - ranging from food stalls to health check stations and Muslim travels. There are also stalls owned by the previous recipients of zakat - look out for the Ikon Asnaf MAIWP stalls to see how far these recipients have come. Once, they were the recipients and now with the assistance from PPZ-MAIWP, they are able to give back to the community. Thus, this is why we need to give zakat as in our 'rezki', there are parts for others too. Not forgetting the entertainment for the young ones, there will be shows from Didi & Friends and the mascots of Hana and Omar. The event is also a star-studded event as Hijjaz, Raihan, Ustaz Wan Akasyah, Ustazah Dato' Siti Nor Bahyah, PU Amin, PU Idris and many more will be attending the carnival too. So, if you are keen on brushing shoulders with the stars for a great cause, please do attend the carnival and learn more about zakat (apart from brushing shoulders with the stars too). Oh. Make sure you attend the concert tonight (1 December 2018) at 9 pm onwards as the stars will be there! For more information about the upcoming events and updates, please follow the social media of Pusat Pungutan Zakat. meriahnya...jarang ada aktiviti gini selain daripada Karnival Geng Masjid kan...Alaaaa...kita nak jumpa Hafiz Hamidun, kenapa esok! Haaa bagus Rawlins buat post ni. YEZ (Year End Zakat) selalunya orang lebih mengenali YES (Year End Sale) ajer. Ye tak?. Kita kena la berzakat untuk membersihkan harta kita kerana rezeki yang kita dapat tu ada bahagian orang lain juga. YEZ Carnival (Year End Zakat Carnival) seems like a nice event. Good for the people to join and have fun time together. Glad that it was so happening with many activities and booths for you all to enjoy. Bagus juga ada kempen kesedaran utk org raamai. I pun jahil benda macam ni. Yes tahu zakat akan dapat berkat dan tidak kurangi harta. I macam musykil, adakah wajib zakat bagi org yang cukup2 makan? Atau gaji ribu riban baru kene zakat. I nak kena cari la maklumat ni. May be dgn aps online ni I boleh dapatkan info later. Bagus ada karnival pasal zakat ni. Sebab tak semua orang tahu lebih mendalam tentangnya. Bak kata orang, yang basic je infonya mungkin orang tahu. Tapi bila dengar penerangan macam ni, pastinya orang akan lebih paham. 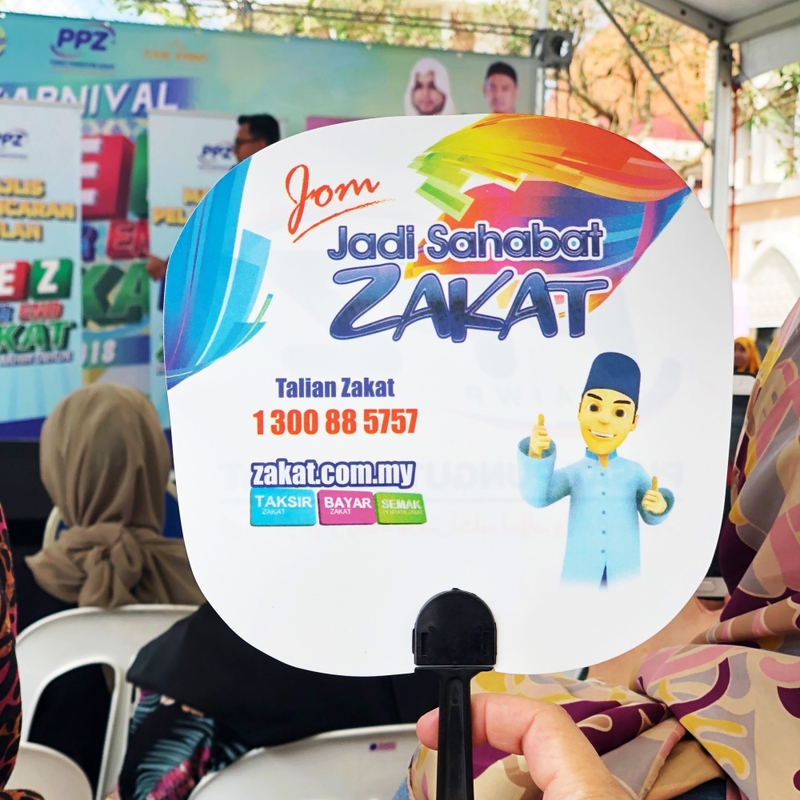 wow im surprised to see the zakat for your state organize karnival to increase the awareness and attract youngster to pay for zakat! i remember learning all the zakat calculation during my shariah registered financial planner certification course, but now all can be calculated easily with the online tools. Wah dekat hujung tahun ni. Thanks juga remind pasal zakat ni. Atleast x lupa tunaikan zakat kan. Ada banyak cara nak bayar zakat sekarang ni. 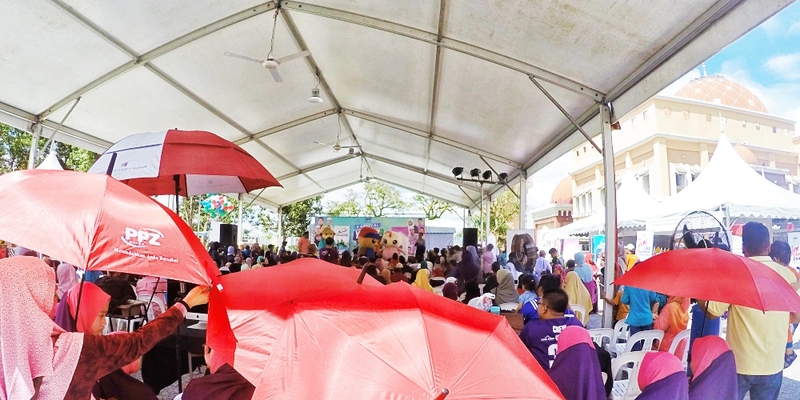 Karnival YES Zakat memang bagus,program mcm ni patut diteruskan agar org ramai fhm tentang kewajipan membayar zakat dan jgk byk aktiviti dijlnkan utk pengunjung. Looks really interesting and fun, I think this is a great way to get to people, educating and reminding them to berzakat.